Rental Calendar is designed for individuals and businesses, operating in the rental market. With its help, renters can keep track of rental units and plan to rent out resources, more efficiently than usual. The program has a handy interface to calculate and show the term of lease, helping you to make decisions quickly. There are also searching and exporting options, as well as the abilities to back up and protect the database with a password. Rental Calendar is a handy tool for anyone operating in the rental business. 32 MB of RAM, 7 MB of available hard disk space. ...... Rental Calendar has searching and sorting options to let users easily handle records. Rental Calendar is great to store and keep track of calendars for unlimited number of rental units, such as DVD disks, cars, bikes, boats, scooter, planes, houses, etc. With only one mouse click, you can back up or protect the database with a password. What's more, the Calendar database can be copied to a USB flash drive for security or simply to move it to another computer. Date Navigator lets you view records for any particular day with a click on the day in the calendar. There is also an opportunity to prepare reports for printing or exporting to other formats: XML, PDF, HTML, XLS and TXT. You pay for the program only the first time and get all new versions of this program for FREE and for a lifetime! Easy-to-use calendar that allows you to quickly look up dates and set reminders. 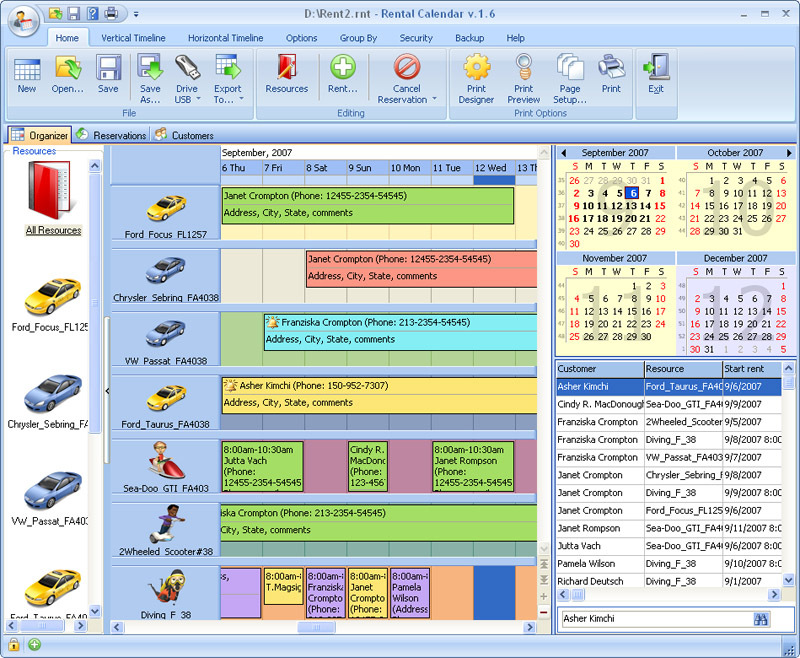 A calendar program to satisfy any user's needs. Simple calendar, suitable for team-work. Traditional calendar month view with event only option. Server ASP scripts. Share your outlook calendar with others with or without exchange server! Make calendar with beautiful pictures and print out if you have print machine! Qweas is providing links to Rental Calendar 3.9 as a courtesy, and makes no representations regarding Rental Calendar or any other applications or any information related thereto. Any questions, complaints or claims regarding this application Rental Calendar 3.9 must be directed to the appropriate software vendor. You may click the publisher link of Rental Calendar on the top of this page to get more details about the vendor.